You may be wondering what exactly animal communication and reiki healing is, and how it can help your animal friend. And of course you may be wondering who am I and what animal health and healing training I have completed. It’s hard to get your head around how we can communicate with and heal other species on an energetic level. Understanding how it all works cannot be completely described in a short page like this, but I will give you an overview of what is involved and how I came to be a pet therapist. My parents always had dogs, so I grew up with them as part of our family. We also lived in the countryside so there was plenty of nature surrounding our lives which tends to help with an understanding of how things work from a natural perspective. Fast-forward to my early twenties and I got into meditation. Nothing religious or strange, just simple meditation that takes you to that wonderful quiet place of peace and contemplation within yourself. I think having meditated for so many years has helped me with animal communication as you need to tune into the animals whilst blocking out external influences. Skipping to my mid-thirties and I read about animal communication, found myself fascinated and bought a book. I followed that up with a training CD and a workshop. On that workshop I was blown away with the results. After connecting with a dog that had passed away I came up with information about the dog and its owners that would be impossible to know. I got back home and my mind was just blown open! A few years later I went on another course with the brilliant James French. Again, what happened was extraordinary. What followed was practice, practice, and lots more practice! You could say it’s psychic skills but I find that term a bit old hat and it reminds me of Mystic Meg! Animal communicators are often referred to as Pet Psychics which is a bit better but I still prefer animal communicator. Animal communication is not made up, and I am not here to waste your time or money. If I cannot make a connection to your animal friend then I will say so. Inter-species communication involves telepathy and other ‘psychic’ skills but what it boils down to is tuning into the essence of the animal. By using a few techniques to quiet the mind and make that connection to an animal you get a one-to-one communication that is out of this world. When asking questions to animals the answers can come back in a myriad of ways. Usually it’s words that pop into my head but it can also be a feeling or emotion. Sometimes I will get an image flash into my mind for a second showing a scene or something the animal wants me to be clear about. What it isn’t is a loud booming voice! The responses have to be translated by your mind. For instance, once I was communicating with an Alsatian dog and I got a brief picture of him with his eyes closed and headphones on! It turned out this dog loved music on the stereo, and his owner even sang to him most nights! Animal communication is a very natural thing. In fact, we can all do it if we take the time to learn and practice. It’s one of the most wonderful and exciting skills – having a direct, deep connection with an animal. Helping a human and their animal friend understand each other and therefore have a better life together is very rewarding. I have one of those minds where I am open to new things, but before I truly believe in them I have to have proof. When I came across animal communication I really wanted it to be real. I had read about telepathy being used by tribes to communicate over great distances and recent scientific studies have backed this theory up. Read up on quantum entanglement for the scientific approach to telepathy. Biologist and scientist Dr Rupert Sheldrake has done a lot of work on telepathy, proving that animals and humans can connect telepathically. Work on String Theory suggests that once cells have been in contact they continue to show similar changes even when separated by thousands of miles. This suggests a connection that is on a whole new level, not limited to time or space. Dr Dean Radin is another who has worked with consciousness experiments and telepathy for decades. I regularly get information back from the animal that is impossible for me to know. When I tell the owner they are shocked. It’s this kind of information which converts skeptics to believers. I once had a rat tell me it’s owner used to have blonde hair after it sent me an image of her. The lady was sitting right in front of me and she had brown hair so I was nervous about passing this information on, but when I told her she nearly fell off her chair, saying she had only stopped dyeing her hair blonde about a year ago! There are many other examples of this that never cease to amaze me. Can you diagnose injuries and disease? In some cases the animal will let me know what is wrong from a physical aspect. I can pass this on to the owner but it should not be actioned without consulting a vet. I only provide feedback and I am not a veterinary practitioner so if you are worried it is best to consult your local vet. By all means tell the vet about what I have picked up, they may be able to look into it. My reiki practice is pretty much for the animals though I do sometimes offer it to people too. I was attuned to the traditional Usui reiki system through reiki master Lorraine Davis who is privileged to hold a strong direct lineage to Dr Usui, and has had direct input into the core curriculum and NOS as a member of the Reiki Council. 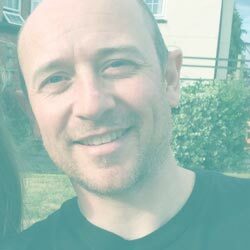 I do take my reiki practice seriously and attend regular reiki share meetings for learning more about the theory and scientific side of reiki alongside deepening my reiki practice and knowledge. As a Reiki Master, I offer reiki for dogs, reiki for cats, reiki for horses – you get the picture! Reiki energy healing works for all kinds of animals and can help them in many different ways. 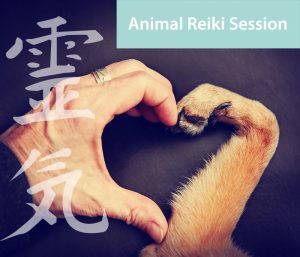 To book your animal friend a reiki session please use the reiki animal healing page where you can book a hands-on healing session or a distance healing. Once you have communicated with a few animals and connected through the reiki energy source you realise that they are far, far more intelligent than most people think. They do have feelings, aspirations and fears. They know a lot more about their ‘owners’ than you realise. They help us on levels most people can’t comprehend. Animals truly are our friends and are here to help us. Your pets rely on you for their food, water and shelter, but they also need your love and understanding. They are not just here to guard your house or entertain you. They can be so much more if you just let them. They are great teachers who are wise beyond words. Make time for your pets. Ensure your dog gets walked every day. Ride your horse, play with your cat. Most of all, just be there in the moment for them. If you would like me to communicate with your animal just fill out the form on my animal communication readings page. And don’t forget, any animal can be talked to, whether it is your pet dog or an elephant at a zoo!